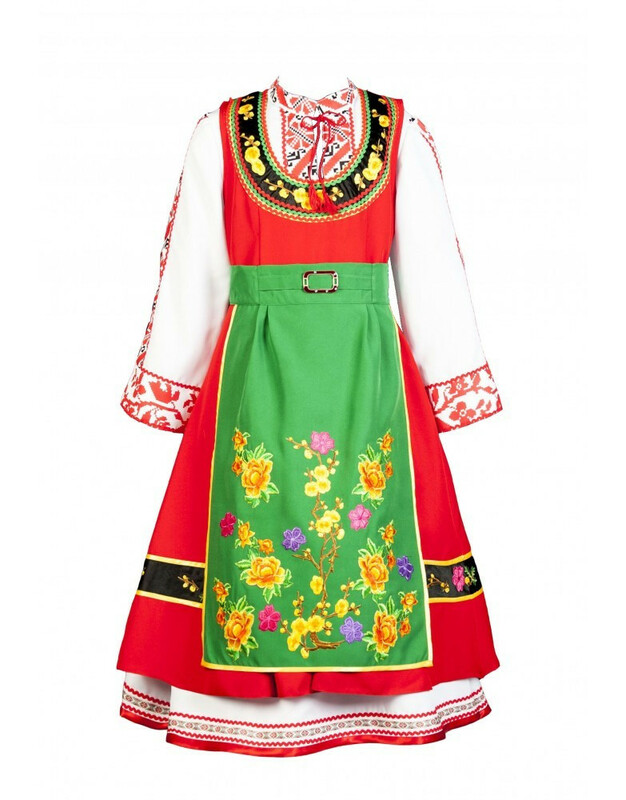 This Bulgarian dress is one of the brightest in our collection of national costumes from Bulgaria. The Bulgarian clothing has got its own outstanding traditional features such as a bright green, black or red apron. 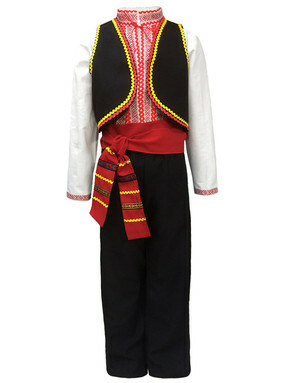 There is a great variety of the traditional Bulgarian folk costumes from one region to another. 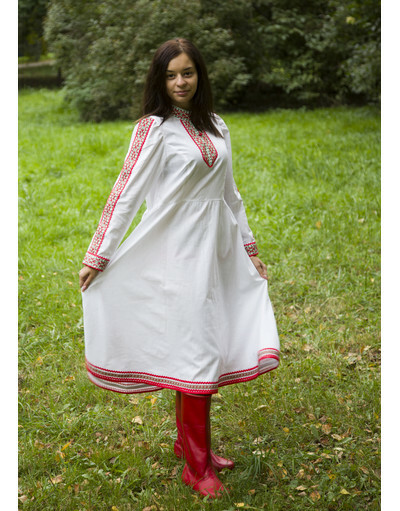 This Bulgarian traditional dress includes: a long white dress, an upper red dress and an apron.